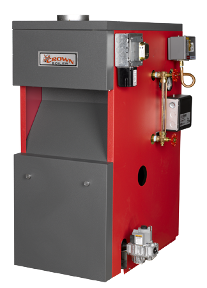 Chicago boiler - - D's Air & Heating, Inc.
Boiler, extrol tank, water feeder, flue assembly, gas assembly supply and return piping. New plug and play harness and junction box offer worry-free wiring for fast, easy installation. Easy installation, easy access. Save time, save money. New cast-iron sections - This updated design increases reliability and serviceability. 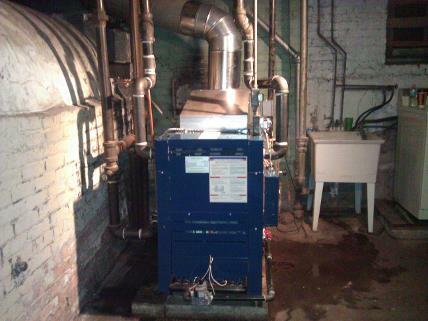 This boiler is built to last. Now that's peace of mind. 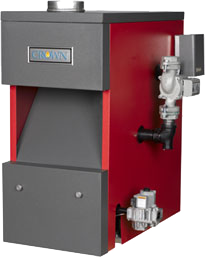 Your investment for a efficient heating system is our goal. We provide customer satisfaction to allow you the pleasure you desire for a comfortable relaxing home. D's Air & Heating will provide cost savings which you can compare with our competitors. 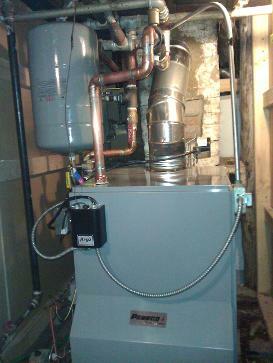 D's Air & Heating has the solution to your heating needs. We are the company you can trust during those tough times when your heating unit lets u down. If you need to replace your heating unit come to a company you can depend on. We provide special savings for our customers so that they may come to enjoy the services of D's Air & Heating, Inc.
We replace Hot Water Tanks. Most major brands.